He cites the Energy Information Agency's (EIA) estimate that fossil fuels will represent 77% of energy use in 2035, which is a lower percentage than now, but an increase in total usage. That may unfortunately be right, but it's not "better than you think." It's disastrous. "U.S. oil and natural gas production are growth industries. For years, they seemed in irreversible decline. Oil imports were rising, and higher natural gas demand would be met by foreign liquefied natural gas (LNG). Now, advances in “fracking” have opened new fields. From 2007 to 2010, U.S. oil production rose from 5.1 million barrels a day (mbd) to 5.5 mbd. By 2020, it will hit 6.7 mbd, projects the EIA. "In 2035, emissions of carbon dioxide are reckoned to be 3 percent higher than in 2010. This contrasts with the declines of 50 percent to 80 percent by mid-century that some scientists say are needed to stabilize global temperatures." Reassuring, indeed. This rosy interpretation is in dire and stark contrast to the warnings of the International Energy Agency's (IEA) Chief Economist, who in November declared that we have but a five-year window to reverse our dependence on fossil fuels to avoid catastrophic climate change. 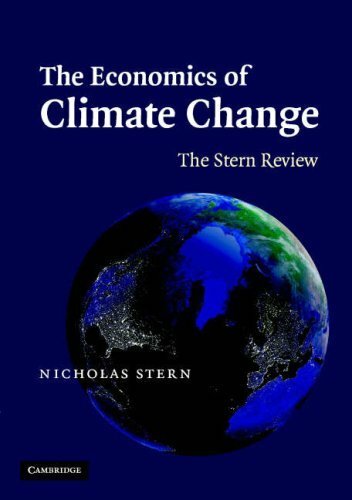 It's also in stark contrast to the Stern Review, which estimated that unabated climate change could reduce global GDP by 20%. What's so "reassuring" or "better than you think" about that? Only in an alternate universe, where the rules of physics are suspended, could one make these optimistic statements with a straight face.